In this balsamic baked veggie salad, baked vegetables top a fresh green salad for a easy, and satisfying twist on a typical summer salad. I don’t know why I never thought to put cooked vegetables on salad before, but the contrast of the crisp greens with the savory vegetables was really quite nice. A typical light salad becomes hearty with savory baked vegetables. In Greece, seasonal vegetables are very cheap, and of course very fresh! Something I love about Greece is that everyone has a garden. In fact, the zucchini I used in this salad came from the garden right outside my door. For this salad I used cauliflower, red pepper, corn, zucchini, and sweet potato; you can use whatever vegetables you like here, just be mindful of the time each one will need to cook, as some may take longer than others and should be added to the mix at different times. Baked summer veggies top a crisp green salad for an easy and filling meal. Cut the cauliflower into small pieces. Cut the zucchini and sweet potato into thin rounds. Cut the pepper into strips. Place the vegetables in a baking dish and toss them in the oil, vinegar, and a little bit of water. Add in the corn, and bake for another 5 minutes. In the meantime wash and chop the green salad and place in a bowl. Once the veggies are tender, top the salad with the mixture and drizzle with a little more balsamic and oil if you like, and sprinkle on some salt and pepper to taste. Tell me what you think! Which vegetables would make your baked salad perfect? Today’s guest post reminds me of summer, because I don’t think a strawberry milkshake can remind me of anything but summer. I loved the creativity on this shake, using an avocado for creaminess. I wouldn’t have thought of combining these ingredients, but they work out perfectly, and make this milkshake taste just right. Plus, this is a much healthier shake to serve to your kids, and to yourself, guilt free! When I was little my grandparents would occasionally take us out to eat at 1950’s style diners. Each time we went I would dump about two handfuls of quarters into the jukebox, and then engage in an excruciating internal debate over which flavor of milkshake to get. While vanilla and chocolate both had their merits, strawberry always won. I loved how creamy, fluffy, and unapologetically sweet strawberry milkshakes were—not to mention that they were my favorite color! When I went vegan, I noticed that it was really hard to find a strawberry milkshake that didn’t taste like it had an ulterior motive. Some were disguising fiber-bombs or greens powder while others sacrificed all milkshake-like qualities in the name of health. I am a firm believer that healthy food and delicious food are not mutually exclusive, so I set out to make a healthy vegan milkshake that you could get away with serving in a 50’s diner. This milkshake is now one of my favorites, and the first one that I make for people reluctant to introduce green smoothies into their diet. Guest Post: Vegan Diner Style Strawberry "Milkshake"
Feel free to top with whipped coconut cream to get the full diner affect! Leftovers store well in a mason jar in the fridge for 1-2 days. Kenley Eaglestone is a plant-based vegan chef, writer, and free-spirited travel lover. On her blog, eatkaleforbreakfast.com, Kenley shares easy (and delicious!) 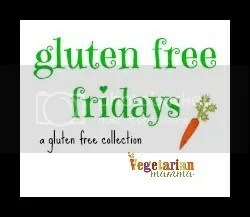 gluten-free vegan recipes, and inspires people to live happier and healthier lives. Connect with her on Facebook, Instagram and Twitter to keep up with her culinary adventures! Would you try this smoothie? What do you think of adding in avocado for creaminess? How do you make your favorite vegan strawberry shake? A friend of mine found this recipe for a raw pumpkin pie from Emily at This Rawsome Vegan Life and we wanted to try it out for ourselves. This recipe was really innovative and quite perfect as written, so we stuck to the main recipe while making this pumpkin pie for the most part. However, I did add in a little vanilla extract for additional sweetness and a little cayenne to warm up this cold pie. I think the cayenne pepper really did the trick, and made this cold pie warm to the palate. Overall, the pie was perfect, and ready in about 2 hours after cooling. I will definitely be making another one for Thanksgiving this year, I can’t wait to share this raw vegan goodness with my friends and family, since they didn’t get any of the pie I made yesterday; my friend and I ate the whole thing! On Thanksgiving I used to love having buttery mashed sweet potatoes with melted marshmallows on top, so I wanted to recreate this sweet and creamy dish using healthier ingredients. So I made some fresh, creamy, homemade hummus, some sweet and tangy cranberry sauce and stuffed those ingredients inside a freshly baked sweet potato. Overall, I loved the flavor combinations in this dish, and enjoyed the added health from the chickpeas, tahini, and homemade cranberry sauce. This recipe is simple too. Just bake a few sweet potatoes, fill them with hummus, and then drizzle your sweet potatoes with a little tahini, top with some crunchy pecans, and serve them front and center at your vegan table this Thanksgiving, because they look as good as they taste. Bake the sweet potatoes in the oven at 375F for 40-45 minutes until they are tender. Remove from the oven and set aside. Once the sweet potatoes cool a little, cut them in half. Stuff each one with 2 heaping tablespoons of hummus, a teaspoon of cranberry sauce, drizzle with tahini, and a sprinkle of pecans. Serve fresh and warm. The other day, I was craving something bad for me, something a little salty, and maybe even fried. After looking around the kitchen, I decided to make use of a few sweet potatoes I had lying around and bake some sweet potato fries. I seasoned these fries with a little garlic powder, but you could also try fresh rosemary, or paprika instead. Or try all three for a fancy sweet potato trio! Serve with you favorite veggie burger, or maybe even this black bean burger. Overall, this is a very simple and easy recipe to make, and it is a great way to get the kids eating sweet potatoes. I mean, who doesn’t love fries? Plus the sweet and salty combination tastes sinful, but really isn’t. If you start now, you can have some of these crispy delicious fries in about 30 minutes so get to it! Using a peeler, peel the sweet potatoes. Cut the sweet potatoes lengthwise into strips, about ¼ inch thick. Place strips in a bowl, and coat with oil. They should be lightly coated. Sprinkle with seasonings and toss. Place fries on a foil lined baking sheet. Bake for 20-25 minutes until crispy and delicious. Season with more salt and garlic if you desire. Who doesn’t love food on a stick? Inspired by my Perisan boyfriend’s shish kabobs, (did you know shish means six in Persian?) I explain these to his dad as “American style kabobs,” as he wonders where the meat is. These veggie kabobs are perfect for summer grilling, or winter baking. I make veggie kabobs all year round, multiple times throughout the year, or month even. I love them because they are sweet, savory, a little spicy, and pretty much just right. Another bonus is that these veggie kabobs are easily modifiable to any taste. You can easily eliminate or add various ingredients for each individual you are cooking for with minimal effort. Serving meat eaters? Add chunks of chicken or steak. Feeding picky kids? Remove the onions, or add on white potatoes which they may like better. A deep baking pan works well. Bring 2½ water to a boil. Add in rice and let it simmer for 35-40 minutes. In the meantime, peel and cut a sweet potato into chunks. Heat 1 tbsp oil in a pan and fry the sweet potato chunks until they are just tender enough to stick a fork through. While they are cooking, season with cinnamon and a little salt. Set aside in a medium bowl to cool. Cut peppers, onion, tomato, and pineapple into square chunks. Place in a bowl with slightly cooled sweet potatoes. Coat the veggies with 1 tbsp remaining olive oil and sprinkle in red pepper flakes, and a little salt and pepper to taste. Put the veggies on the skewers in alternating order. Place on a baking sheet. Bake for 15-20 minutes until the kabobs are tender. Once the rice is cooked, chop the cilantro and stir in the cilantro, lemon juice, and salt. Serve veggies over rice, and serve.